Adele will be awarded an MBE at Buckingham Palace on Thursday. The 'Someone Like You' singer was named in the Queen's Birthday Honours list for her services to the music industry. The 25-year-old singer has achieved huge success over the past two years with the release of her second album '21'. The record topped the charts in more than 30 countries and was number one in the UK for 23 weeks, selling more than seven million copies in the country. It was certified diamond after 24 weeks at the top spot in the US. 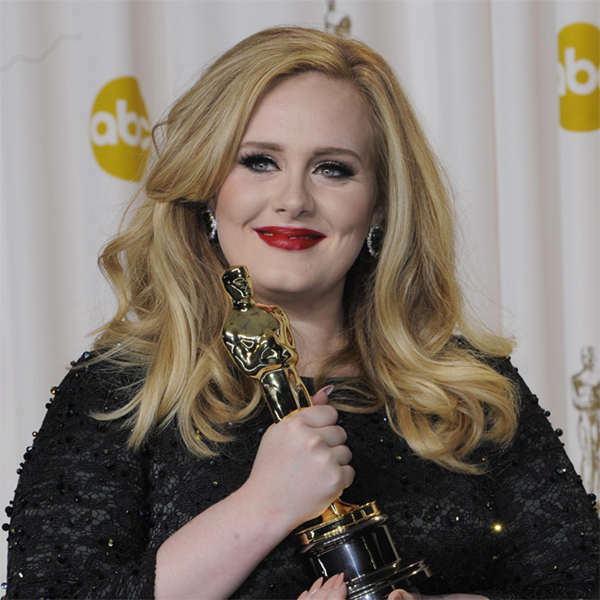 Adele is now a global pop superstar and also won an Academy Award in February for her James Bond theme song 'Skyfall'. She is rumoured to be planning the release of her third studio album sometime next year but has been busy being a mum after giving birth to her son Angelo with partner Simon Konecki in October last year. Singer-songwriter PJ Harvey, broadcaster Aled Jones and author Joanne Harris were also on the list for MBEs, while broadcaster Claire Balding was honoured with an OBE.